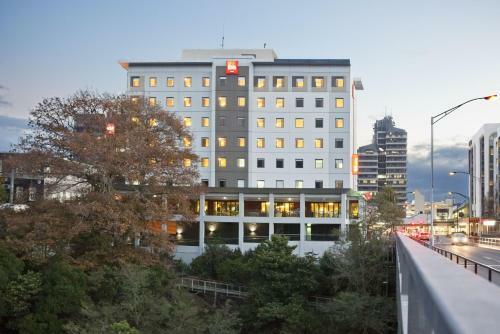 Ibis Hamilton is situated on the banks of the Waikato River, in the city centre. 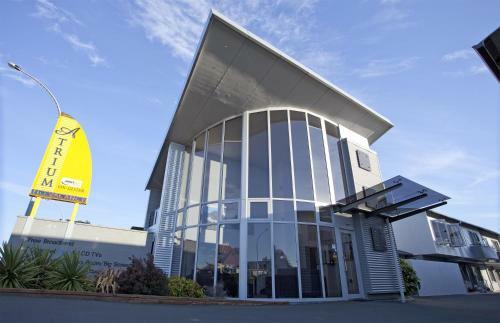 It is 10 km from Hamilton International Airport. Hobbiton Movie Set & Farms Tours is 40 minutes' drive away. Atrium On Ulster offers spacious modern studios and apartments with access to a fully equipped fitness room and free broadband internet. All units have a flat-screen TV and a private balcony or courtyard. 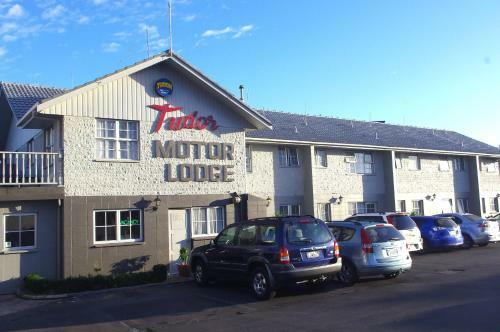 Boasting an outdoor swimming pool, free Wi-Fi and a BBQ area, Tudor Motor Lodge offers self-contained accommodation just 1 km from Hamilton Lake. All rooms have a 32-inch LCD TV. A DVD player and selection of DVDs can be supplied. 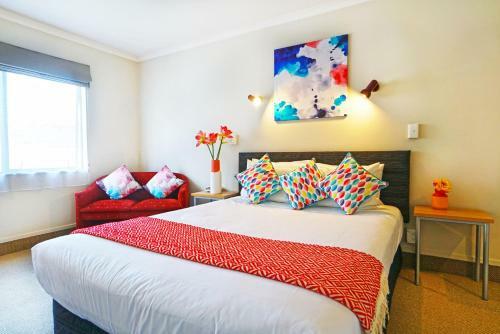 Located between Hamilton Lake and the city centre, Ashwood Manor Motor Lodge offers spacious modern spacious accommodation. All rooms have free Wi-Fi internet access and include free cable TV. 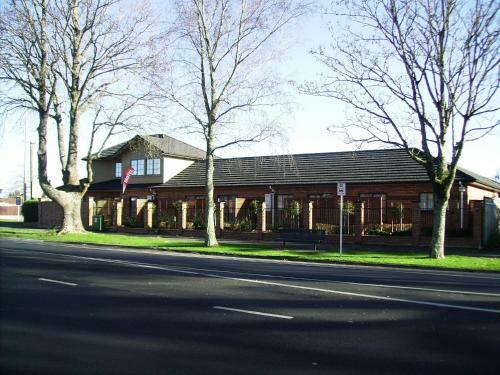 Best Western Hygate Motor Lodge offers spacious ground floor accommodation with free parking outside each suite. All rooms include heating or air conditioning, and free high-speed internet access. 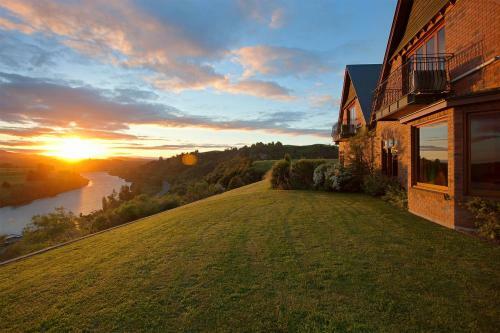 Lake Karapiro Lodge offers views of the surrounding countryside and lake. Gourmet breakfast is included. Facilities include free WiFi, an outdoor swimming pool, hot tub and sauna. Earthstead Villas offers environmentally friendly self-contained accommodation on a small, organic working farm. Free WiFi is included. Matamata Central Motel is a 20-minute drive from the Hobbiton Movie Set & Farm Tours, where parts of the Lord of the Rings trilogy were being filmed. 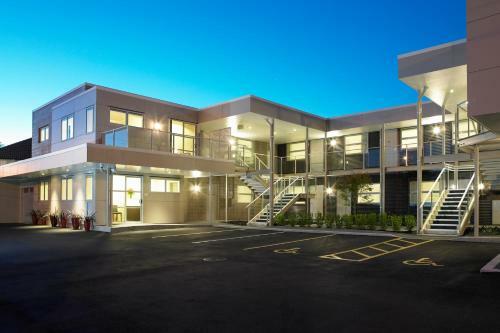 The property offers free on-site parking and free 110mb internet access. 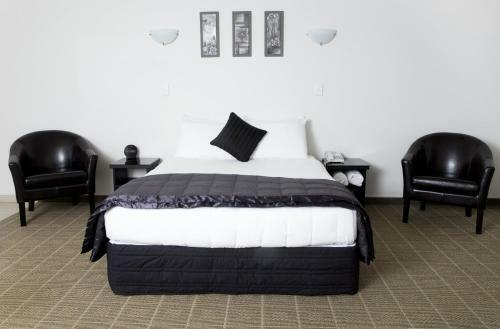 Offering accommodation with free Wi-Fi and free parking, Ulster Lodge Motel is 2 km from Hamilton’s town centre. All accommodation has a TV, microwave and refrigerator. 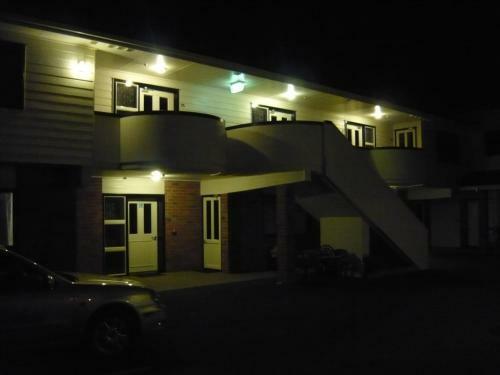 Located on the banks of the Waikato River, North End Motel offers fully self-contained accommodation and features an outdoor swimming pool and BBQ facilities. 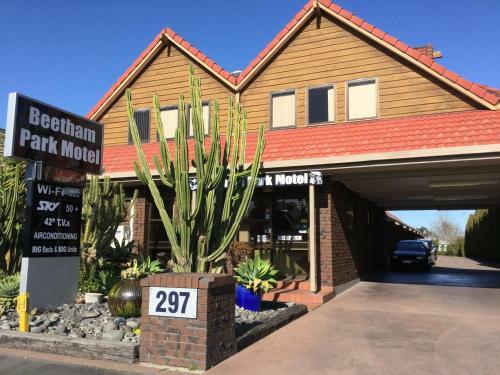 Located a 10-minute drive from the heart of Hamilton, Quantum Lodge Motor Inn boasts an outdoor pool and a steamy hot tub. All rooms feature free WiFi and a kitchenette including a stovetop. Villa Shakespeare offers accommodation in Cambridge. Free private parking is available on site. Rooms have a flat-screen TV. Certain rooms feature a seating area to relax in after a busy day. You will find a kettle in the room. 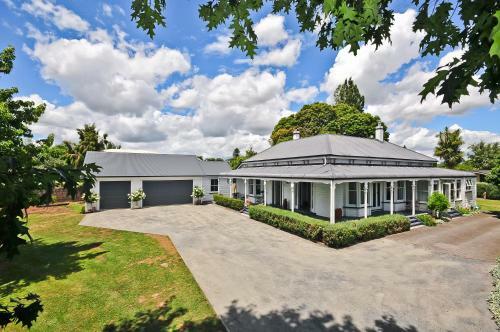 Featuring free WiFi throughout the property, ArtHouse Bed & Breakfast offers accommodation close to Matamata, 10 km from Matamata town centre. Free private parking is available on site. Rooms come with a flat-screen TV. 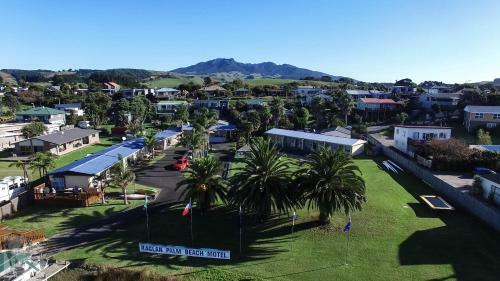 Located in Raglan in the region of Waikato, 37 km from Hamilton, Raglan Palm Beach Motel is set on an acre of land with a scenic waterfront position.